Fevzi Turkalp, the Gadget Detective, joins Allison Ferns to answer listeners' questions and talk about the latest tech news. This week's news; With the announcements at their Developer Conference, what can we expect to soon see from Google? 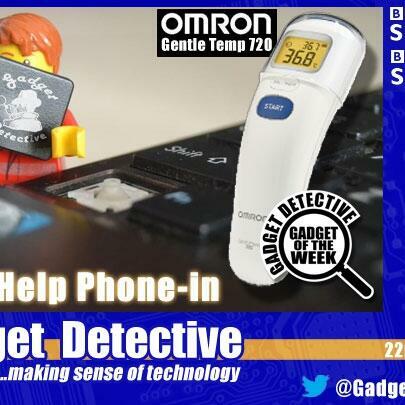 The Gadget of the Week is the Omron Gentle Temp 720, a contactless thermometer capable of taking a reading without touching the person, ideal for checking the temperature of children without disturbing them. It also has some other useful abilities, such as checking the temperature of liquids and surfaces. Scoring 4 out of 5, this is an impressive and affordable bit of tech. Listen in for more information.